Beautiful and famous Super Barbie is very tired of the feats that she did in the last week. But she is also tired and so I decided to take a day off for one day. 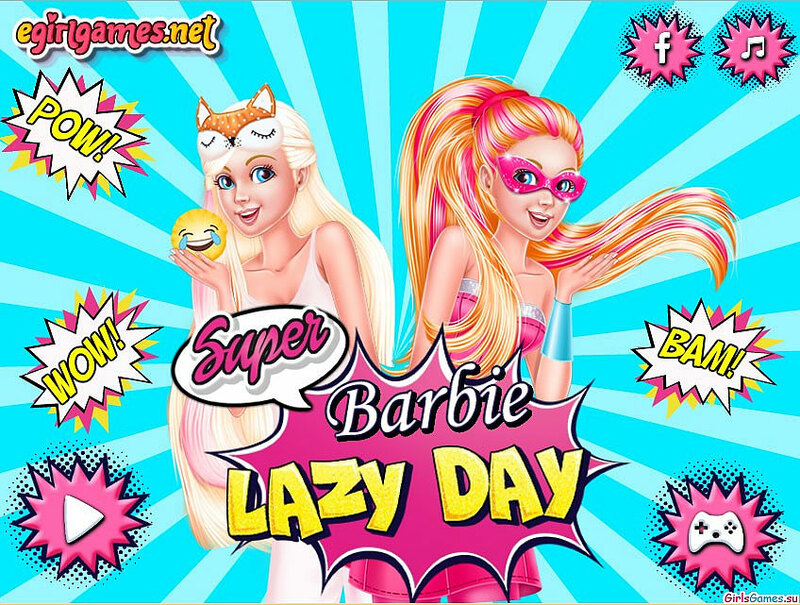 This Super Barbie Lazy Day game will show you how resting our famous famous girl. Guess what? Yes! She goes to the store and pick out the new outfits. This activity is very satisfying for her. Moreover, when performing difficult tasks of her spoiled clothes. Let's together with Barbie going to the store and see what interesting things we can offer her. How to play: in this game you will choose outfits for Barbie super hero. Use the mouse to try on everything you see in the store. And then you can make up this beauty. Played: 46080. Added: 26-02-2016, 18:28. Super Barbie Lazy Day dress up game.